As mid-range budget travelers, we strive to book accommodation that runs $50/night or less to help adhere to our overall goal of $100/day for the two of us. If you think $50 only gets you a bed in a shared hostel room with eight giggly college students or a run-down apartment with a lumpy mattress and sketchy shower, think again. Airbnb has been fundamental in making our (budget) travels possible and I've previously written about how I identify decent properties. Sure, more money (usually) means better digs, but our objective is to stay on the road as long as possible, so we can't afford to overspend. But that doesn't mean we want to suffer, either. I'm here to tell you that you can do a lot with $50/night. Yes, we've had a few bad bed/dirty bathroom experiences, but the majority of our 'low cost' stays have been good with a few, downright outstanding. Heck, I can only think of one that was definitely yucky, but even that was far from a horror story. Sure, it's easier to hit that target in SE Asia, but what if I told you that two of the places on my 'Best Of' list are in notoriously expensive Japan? Of course, renting a private room is much cheaper than an entire apartment, and while we definitely have done that at times, especially during a short stay, have found a week in our own apartment is more cost effective as we can cook most of our food. Being in someone's house, no matter how easy-going they are, means we tend to eat out more... which means we spend more money than if we had just rented our own place to begin with. Besides the cost, what makes these places stand out as the best? While the obvious answer would be 'because they are nice', the factors that make up 'nice' can vary. Most have a ridiculously comfortable bed and high quality bedding- which help vault places to the top and while lots of places have a fairly decent bed, you wouldn't believe how many ruin it with cheap, sandpaper-like sheets. Other times, it might be because of a powerful shower or really great design. In other cases, it's fantastic amenities like a pool or workout room, a killer location or a great host that make an apartment an ace property. So, what are these super heroes of lower cost travel? Read on for a peek into a few of my favorite apartments for $50 or less per night. This place was tiny, but everything was brand new, exceptionally clean and well-designed. The bed was super comfy, although I don't know I would consider what covered the bed to be an actual sheet. 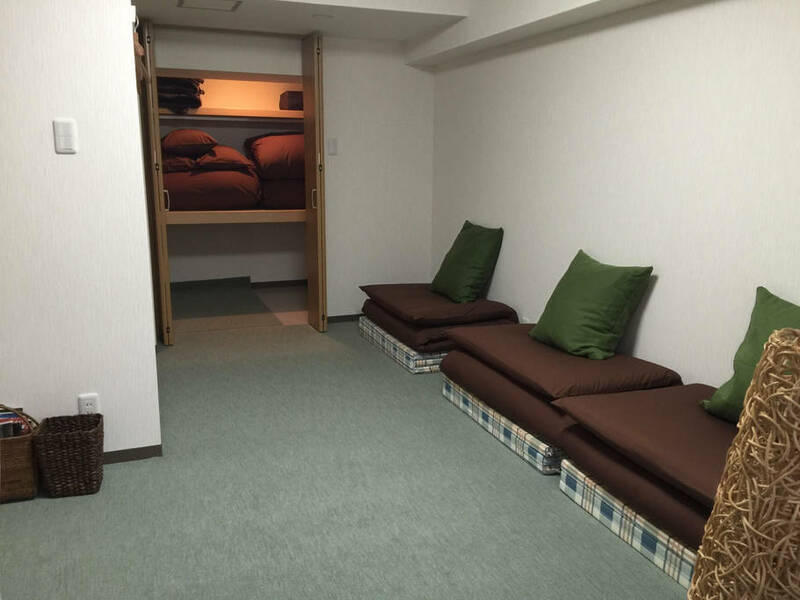 Regardless, it was a really cool place to stay and conveniently located right on the metro stop Sakuragawa, but with the exception of our transport to/from the main train station, didn't use the metro as we were able to walk to Dotonbori in about 10 minutes. Dotonbori is the main tourist district in Osaka and a hoot to visit at night, all neon, busy restaurants and kooky atmosphere. For $37/night, this was a steal in super expensive Japan, and even though there were kitchen facilities, we ate out a lot more because it was so cheap. Nanjing is an enormous city with a skyscraper filled downtown area. It was here that we were lucky to find this well appointed and super clean space with a large comfortable bed and unbelievable city views. The location was ideal as we were central to all the best malls and food shops, also being on two metro lines means we were easily able to navigate to all points of the city. The kitchen was bit gimmicky, but it was stocked well enough for us to make eggs for breakfast and the occasional quick snack of dumplings and chili sauce. At $44/night, it was a great value. 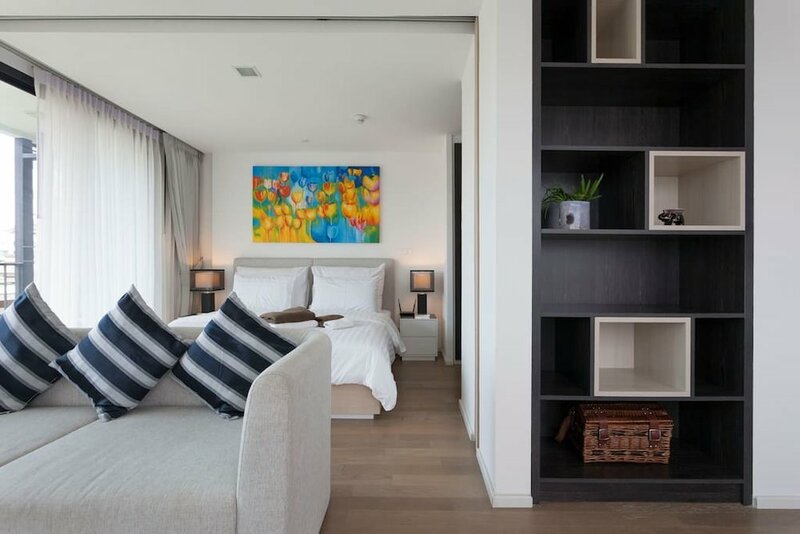 So, you might think sleeping on the floor would not qualify an apartment for the 'Best Of' list, but you would be wrong. The tatami mats in this adorable apartment were the best part of the stay. It was like having my own personal Japanese-themed sleepover, which made me giggle every night when I laid them out. The kicker? They were actually comfortable. The other stand-out feature of this apartment was how clean it was. I don't think I've been in a more immaculate place in my life. Everything was so fresh, even the sheets were neatly pressed. Our $52/night rate was discounted due to booking a full week. In writing this article, I see the rate is currently showing up at $67+ a night, but Keiko also offers a similar apartment in Kyoto for $50. If you seek authenticity, comfort, cleanliness, location AND a lovely host all at a great price, well, look no further. What a breath of fresh air after our less-than-ideal experience in Bucharest. Just as I was about to write off Romania completely, Brasov saved my opinion. The host, Florin, is one of the best Airbnb hosts I've met during our long term travels- friendly, polite and personable, he even picked us up from the train station and provided great suggestions for restaurants, day trips and the like. The apartment itself is really nice and super clean with high quality furnishings that are just-like-home comfortable. You could easily live here long term with all of the amenities (washer/dryer, dishwasher, etc). The location is super quiet and a short 5 minute walk to the center with all the cafes and restaurants. But my favorite feature was the nighttime view of the Brasov sign on the side of Tampa Mountain. Standing at the window, staring at the Transylvania hills, it was one of those magic travel moments. All for $39/night. This apartment was absolutely fantastic with so many nice touches. The host works for the Four Seasons and clearly understands hospitality. From the washing machine complete with detergent pillows to the luxury hand soap, it's the little things that help elevate this wonderful apartment. Modern, immaculately clean and beautifully decorated, Josef's place is amongst the best Airbnb's we've ever stayed in and an incredible value at only $53/night, which would have been much less if we had booked a full week and why I'm technically cheating by including it. The first time I saw the photo of this rooftop pool on Airbnb, I did a double take because price per night was listed as $40. I admit I was skeptical, but booked it because of the great reviews. We arrived after a 38 hour travel day a bit loopy, but my apprehension evaporated when the taxi pulled up to a brand new building. Our host was waiting for us and after a quick tour, we collapsed into bed. The next day, we admired how nice and clean everything was, including the workout room, but we were particularly blow away by the pool. My favorite memories from Bangkok were our nightly swims overlooking the city, which were so refreshing after long, hot days of touring. The location was also excellent with several restaurants and a very nice Tops supermarket nearby. We took advantage of the nearby Chong Nonsi BTS station, only 5 minutes walk, which brought us to the city center in only two stops. The only reason this apartment isn't number one is because of the hard bed. While this is typical in Asia, it was a bit too firm for my liking. However, if you don't mind it, then I strongly encourage you to book this place when in Bangkok. I fell completely in love with this apartment. So thoughtfully designed and completely stylish, it has the perfect blend of modern comfort and classic elegance. The designer has used materials from the apartment's past life so there are vintage elements (bathroom tiles, some furniture and photos) that balance out the contemporary side of things- important considering the history of the neighborhood. I loved how immaculately clean it was with a brand new, luxurious bathroom and beyond comfortable bed with the nicest smelling sheets. I send out gratitude vibes to the universe any night I'm sleeping in quality sheets! The location is top notch- Kazimierz (the old Jewish quarter) has a great atmosphere and the coolest bars and restaurants. This is where you want to be based, not Old Town. To cap it all off, the host Anna is exceptionally kind and an excellent communicator. At $43/night ($29/night if you book a weeks stay), this apartment is beyond good value- it's under-priced. This was the first Airbnb where I jumped for joy when I walked through the front door. After weeks of decent, but never outstanding accommodations, this apartment was a delightful treat. Everything was so new and so nice, none of my own apartments have come close to such luxury. 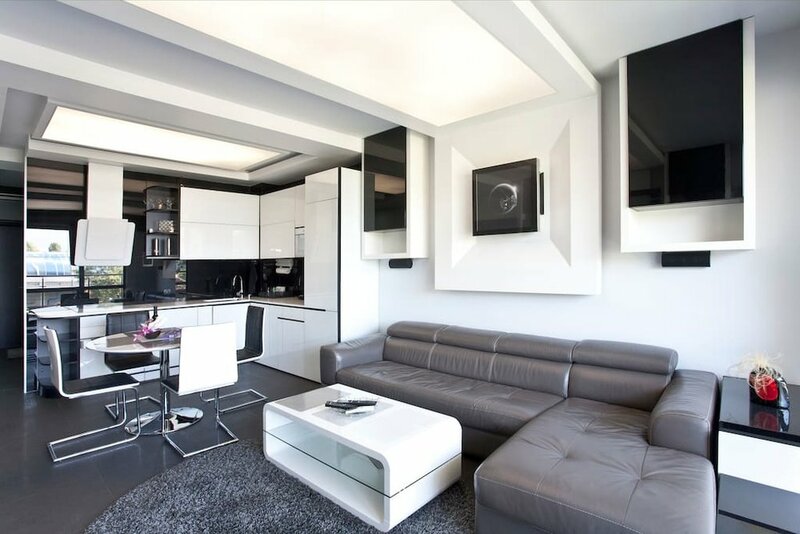 The host is into all things high tech and has outfitted the apartment with all kinds of bells and whistles such as electronic black-out blinds and a futuristic mood lighting system. I personally loved the heated (and grippy!) black tile floors. There is a grocery store practically underneath the apartment as well as several cute restaurants in the same complex. A five minute walk to the metro, you can be in the midst of the ancient tourist area in another seven minutes. 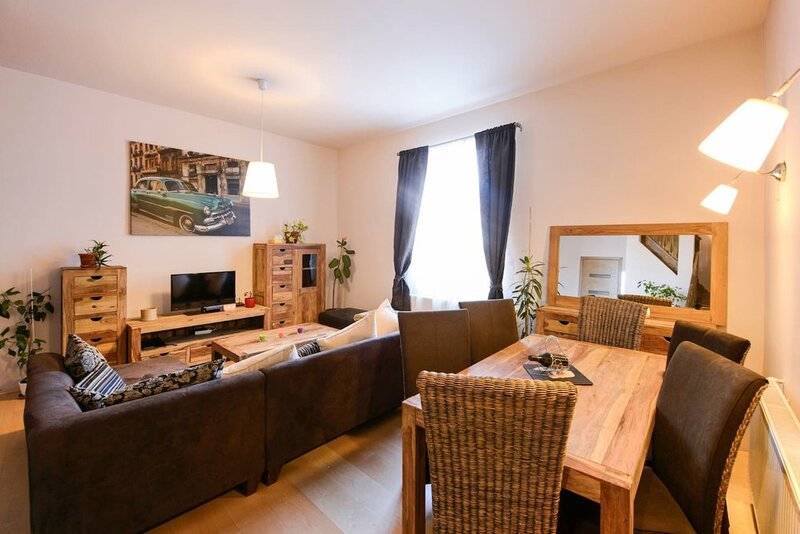 We loved Sofia (hiking Vitosha Mountain was a serious highlight) and this apartment definitely help enhance our opinion of the city overall. We gladly paid $42/night to stay here. Absolutely top notch in every way! First, our host Malgorzata, was incredibly kind and thoughtful and has gone above and beyond to give her guests a first class experience. The apartment is brand new and finished to a very high standard- right down to the luxury shower gel. It's so lovely and comfortable, we found it difficult to leave and tour the city! The location is also fabulous, in the hip section of Warsaw called Powisle. 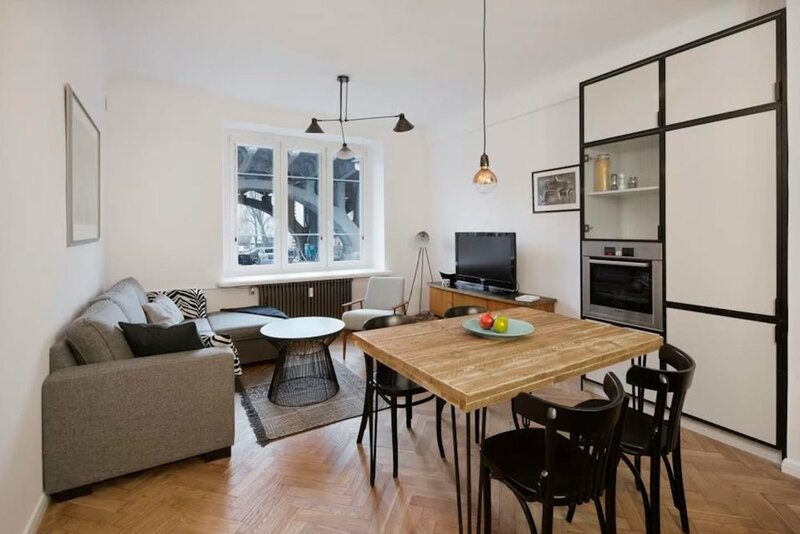 With trendy restaurants (I loved both Cool Cat and Solec 44) and a supermarket one block away, a five minute tram from the main train/bus station and twenty minute walk (recommend walking along the Vistula River) to the Old Town, you are in an ideal situation for a city break. An incredible value for $50/night. Everything about this gated community apartment was high-end and luxurious. From the super comfortable bed and yummy bedding to the gorgeous pool and workout center, we felt like we were staying in an expensive hotel... except we only paid $50 per night. The friendly host, Jan, goes above and beyond as well, by providing breakfast food, not a common perk, but greatly appreciated. We spent four nights here after a week at another apartment which was nice, but a bit far from the action. Here, we were practically right on top of Nimman Road, a bustling throroughfare filled with a mixture of Thai and Western-style shops and restaurants and a short distance from the tourist mecca that is the old city. I remember sipping my coffee on the balcony with views of the hills surrounding Chiang Mai and being filled with awe and gratitude. Even if it's just for a few nights, make sure to book Jan's place if you ever find yourself in Chiang Mai.